View More In Ornaments - Page 3. 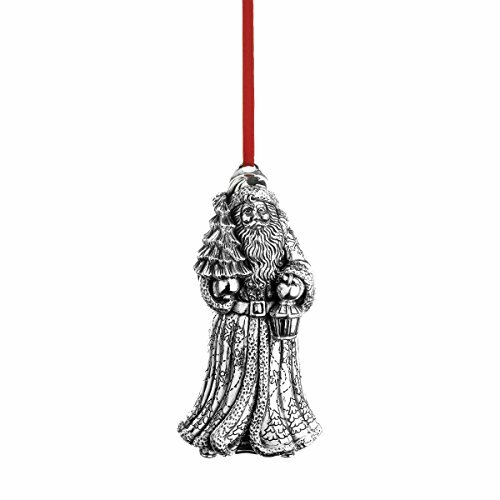 Kris Kringle is the twelfth edition in reed & Barton's treasured series of finely crafted sterling old-world Santa's. Bundled in an elegantly decorated and fur-trimmed cloak and hat, Kris Kringle, aided by the light of his lantern, hurries along to deliver a Christmas tree. Elegantly packaged, including a protective red flannel bag, for gift-giving and storage. Includes a red satin ribbon for hanging. Handcrafted in America.